Offit Kurman is pleased to announce today that Steven H. Thal has joined the firm’s offices in New York City. Mr. Thal will serve as a Principal-level attorney with the firm’s Business Law and Transactions Practice Group. He is one of five attorneys joining Offit Kurman in New York, New Jersey, and Pennsylvania this week. Steven Thal has an extensive practice in international corporate and commercial transactions, with particular concentration in U.S. and European cross-border transactions. Mr. Thal advises German, Swiss, and Austrian companies and individuals on cross-border transactions and United States legal issues. He has represented numerous large and mid-sized German-based multinational corporations. At Offit Kurman, he heads up our German practice area. The German Practice Area attorneys and German legal assistants provide seamless representations to clients from the German speaking countries of Europe. Mr. Thal is both a U.S. and German citizen, speaks German fluently, and has been a visiting lecturer within the Faculty of Law at Ludwig-Maximilians-Universität München (University of Munich) and Ruprecht-Karls -Universität Heidelberg (University of Heidelberg) where he conducts seminars on international business transactions. Additionally, he is a frequent speaker in the United States, Germany, Switzerland, and Austria on various matters relating to international investments, corporate matters, and U.S. litigation issues and has lectured at Euroforum Deutschland, Europäisches Forum Alpach, The Council of American States in Europe, The Studienstiftung des deutschen Volkes e.V., and U.S. Embassies and Consulates. He is also a Trusted Attorney to the German and Swiss Consulates in New York and the Austrian Trade Commission in New York. Mr. Thal received his J.D. and B.A. in Economics from the University of Michigan. He also studied law at Eberhard-Karls-Universität Tübingen (University of Tübingen) in Germany as a Fulbright, DAAD and Ford Foundation Scholar and also political economics at the New School for Social Research in New York. Mr. Thal is admitted to practice in New York and is also admitted as a foreign legal consultant in Frankfurt, Germany on matters of U.S. and international law. Mr. Thal served as President of Der Deutscher Verein in New York from 2008 until 2010. Mr. Thal is also a co-founder, current General Counsel and Director to the German-American Partnership Program, which is the largest student exchange program between the United States and Germany, and is President of Städel Friends, Inc., organized in the United States to support the world-famous Städel Museum in Frankfurt, Germany. Mr. Thal is listed in Who’s Who and Who’s Who in American Law. 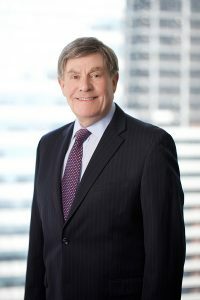 He is also a member of the American Council on Germany, The German American Chamber of Commerce in New York, The Swiss Chamber of Commerce, The German American Lawyers Association, The International Bar Association (Committee on International Sales), the New York State Bar Association (Committee on International Law), and The European Association of Lawyers (AEA – EAL). To learn more about Steven Thal and to get in touch with him, please visit his attorney page. More information about Offit Kurman’s comprehensive legal services can be found here. For details and directions to Offit Kurman’s offices in New Jersey, New York, and Pennsylvania, click here.